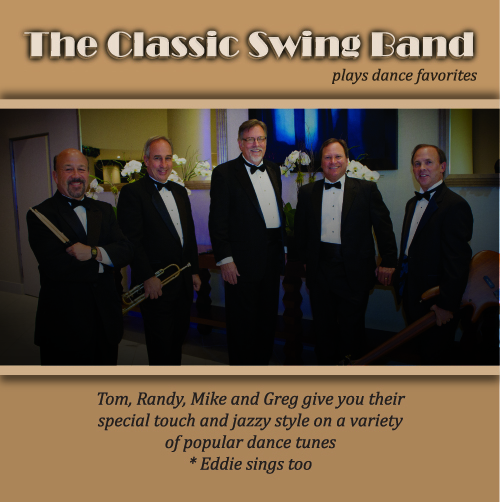 This CD adds some new instrumental band tunes that have become favorites of many fans of The Classic Swing Band who love ballroom dance. These danceable Cha Cha, Tango, Fox Trot and Waltzes have a new sound with Eddie singing about half and our amazing horn man, Tom, playing the other half. 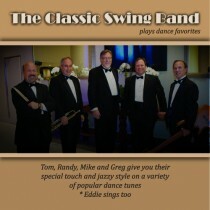 What a great mix of styles and fun music for any ballroom dance event – this five piece group can give you a BIG sound.